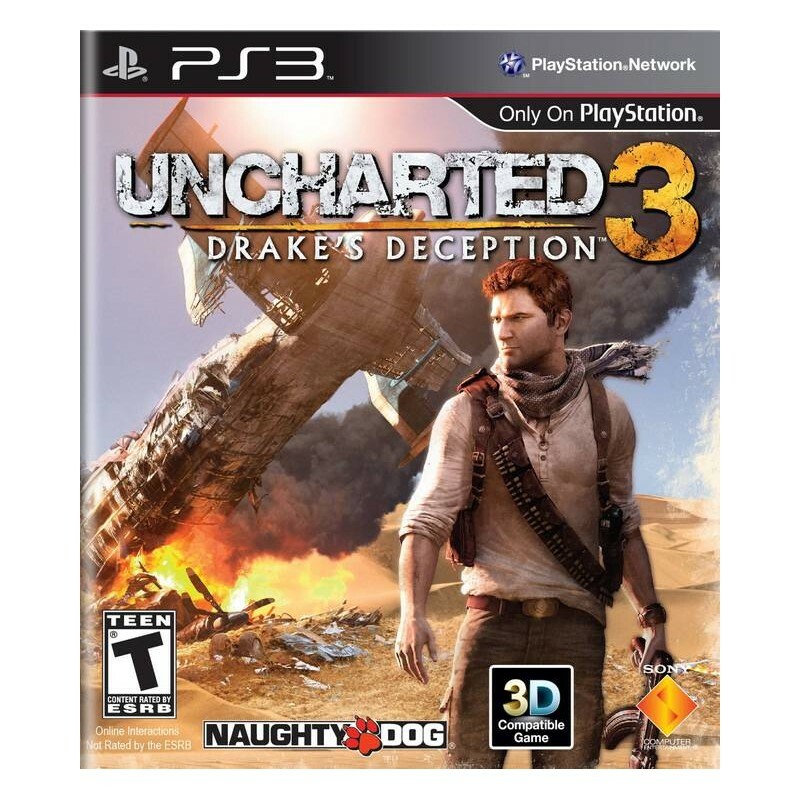 Developer Naughty Dog's critically acclaimed Uncharted series returns to PlayStation 3 with Drake's Deception. 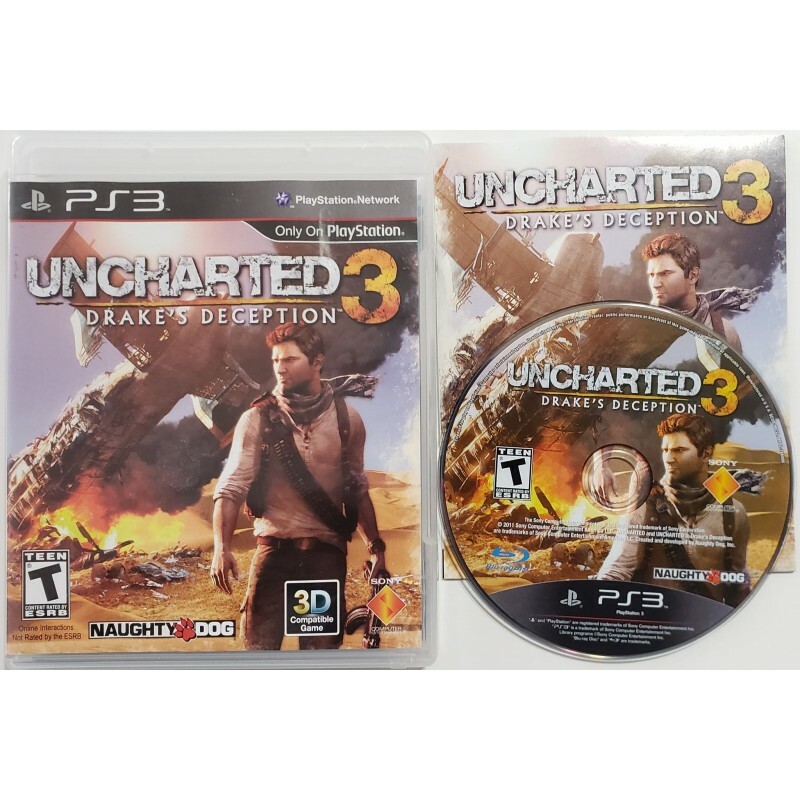 As globetrotting adventurer Nathan Drake, you must embark on a trip to the mysterious Arabian Desert on a mission to find the legendary "Atlantis of the Sands," otherwise known as the lost city of Ubar. Joined by his mentor, Victor Sullivan, Drake soon discovers that he is in a dangerous race against a covert organization immersed in the occult. 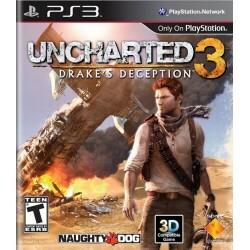 For the first time in the Uncharted series, Drake's Deception will offer stereoscopic support for 3D televisions. 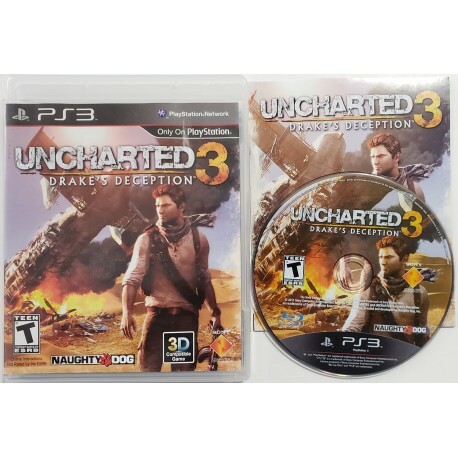 Promising larger set pieces than those in the two previous games, Uncharted 3 will once again rely on a cinematic presentation that blends Hollywood-style storytelling with dramatic action sequences and special effects that utilize sand, water, smoke, and fire. In addition to his proficiency in ranged combat, Drake can now disable his opponents in other ways. New hand-to-hand combat moves let him take out multiple enemies at once, for example, or Drake can use stealth along with context-specific melee attacks. Both cooperative and competitive multiplayer modes are supported, with the developers integrating more single-player elements into the online game for a new experience.